Event Publisher supports two types of categories. Global Categories are created by the Tenant administrator and shared to all sites. Site Categories are created by the Site Administrator and are not shared to all sites, they are local to that specific site. This page pertains to Global Categories. Accessed by clicking this icon in site settings. Categories have a fixed structure (up to 5 levels) that allows assignment of predefined values (created and maintained by Tenant administrators) to your events. 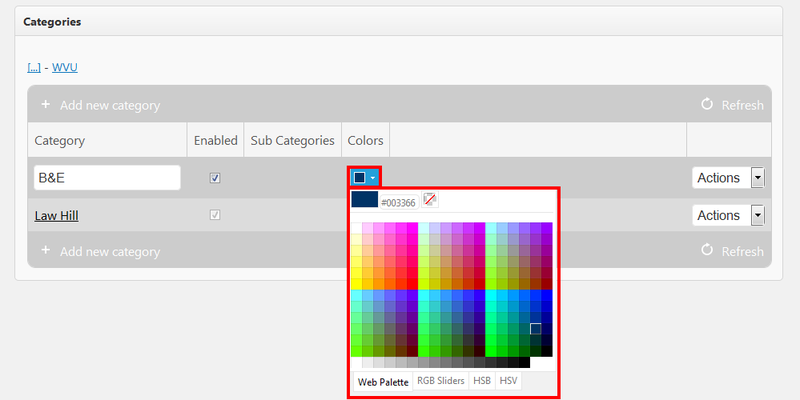 Optionally, you can specify a color code for the category. See the "Color Coding" Section below for additional information. Select "Insert" to add your category to all sites. 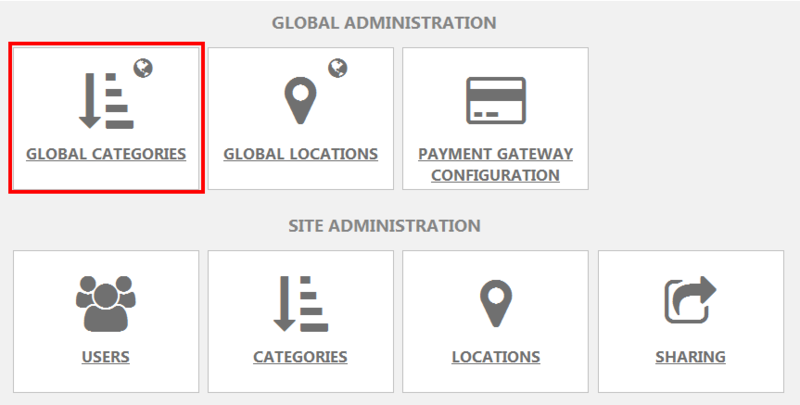 NOTE: When you add a new category to all sites you are adding it in the context of your current location in the category taxonomy. For example, if you are viewing the subcategories for the "Amazing Event Category" and clicked the "Add new category" link you would be adding a new subcategory to the Amazing Event Category. To remove a category from all sites, locate the category in the list, Click the drop down box labeled, "Actions" and select "Delete". Enabled: Indicates whether the category is currently active for all sites.